The control device seat track position sensor (STPS) is contactless, self-contained and completely sealed against the environment. It employs an advanced magnetic circuit and retained magnet which operates with a large sensing air gap. The compact 2-wire Hall effect-based sensor is easily packaged on the seat and is used in vehicles with advanced air bag systems. Excellent field performance on several OEM platforms has demonstrated that this device has proven real-world functionality and overall value. 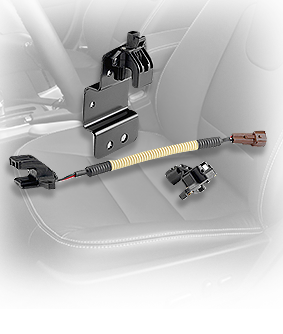 SCD’s has several variants of seat position sensors including U-channel, RAPS, TAPS and ITPS.